Ride a bike: Wycoff cupcakes are the best! 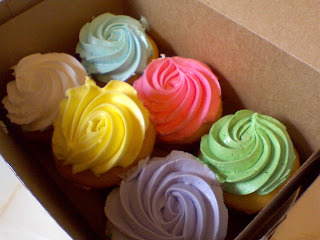 Wycoff cupcakes are the best! The Wycoff Bakery has the best cupcakes. I guess I was feeling like a little comfort food so we stopped to pick up a few. I'm not sure what's so special about the frosting but it's just awesome. Well, time to get to being comforted.